Guidance on developing effective and equitable partnerships. There are many different types of partnerships, and many different reasons that you might want to develop them. Some partners will help you generate ideas, or develop content; others will help you to design your engagement activity; some will be able to share their skills and knowledge to ensure your activity is a success and others may be prepared to put resources into the activity. Partners can also help you develop relationships with different audiences. You won't have to look too far to find relevant people to work with – colleagues in your own department, those in other areas of your institution e.g. 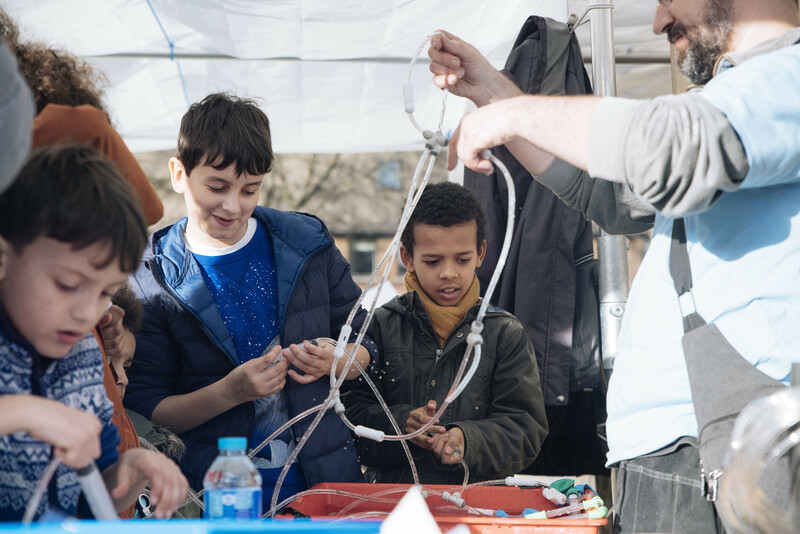 your widening participation, outreach, engagement, marketing or volunteering teams, community organisations, schools, museums, libraries, science centres, local councils and arts venues – there are lots of people who might want to work with you. However before you get started it is important to think through why you want to work in partnership – and why your partners might want to work with you. Why do you need partners? Inspire great ideas – involving partners can help with the creative process. It can also be enjoyable working as part of a team. Add another dimension – colleagues from a different field of research might complement your PE activity, thereby adding more interest for prospective audiences. Share their experiences – working with people who have previously taken part in engagement activities can help guide you through unfamiliar processes and also assist with your own professional development. Provide essential insights – partners may have expertise in a host of relevant things such as understanding the needs of your target audience, timings and logistics, and suggestions of others you could work with. Increase capacity – partners can help you to reach a wider audience. For example – a key contact within a University could assist with organising student and postgraduate volunteers to enable you to run a larger event. Other organisations such as Science Centres can provide experienced staff to assist with your project. Provide an opportunity – many partners will be looking for people to contribute to their own events or activities. It may be that you could support what they are doing, rather than invent something of your own. Help you reach new audiences –partners may already have access to members of your target audience, such as schools, museums, libraries or charitable organisations. Provide a venue – if you need a physical venue a partner may be able to help e.g. businesses, science centres, museums, libraries or other places of cultural interest. They may also help with hosting the event, access requirements, advertising and be able to provide other equipment or resources. Provide expertise – partners can be crucial in providing expertise you do not possess. For example, if you want to build a website you may need partners with specialist technical knowledge – who could come from inside your institution or elsewhere. Strengthen relationships – working with partners can deepen and strengthen your relationships as well as introducing you to new people and new ideas. This may lead to other projects in the future. Invite involvement at the start, when you are developing your ideas. Partners may be able to advise you on potential difficulties, the logistics of certain aspects of your activity and may have ideas that you might never have thought of. Getting partners involved at the start ensures that their needs and expectations are taken into account in any activity you plan. What's in it for me? Ensure you have a frank conversation with your potential partner about their and your expectations before you get started. Misunderstandings can lead to problems later down the track. Establish leadership, roles and responsibilities early on. Agree on key points of contact for you and your partner. Communication. Make sure that the key points of contact within your partnership organisations are kept informed, and remember to ensure you have contacts for everyone you might need to speak to. What happens if nothing happens? In the first flush of partnership it is hard to imagine anything will ever go wrong – but it is important to establish what happens if it does or if you or your partners do not keep their end of the bargain? Is there someone who is taking responsibility for the project from their side and yours? Plan, plan, plan. Once you have agreed aims and objectives, establish key milestones and deliverables for each partner. It is advisable to draw up written agreements to ensure everyone is clear (whether in the form of formal written contracts, or meeting minutes/actions which have been circulated and approved via email). And plan again. Timelines are invaluable ensuring each partner knows what they are doing and when. Certain partners may have to complete their part before another partner can step in. A detailed plan will enable you to manage the process effectively. Ensure that responsibility for each step has been assigned to someone in the partnership. Establish a clear joint vision at the start – and try to make it manageable. It can be a good idea to start small, and deliver something really good – than try to do something amazing and fall at the first hurdle. Be flexible. Try to stick to your aims and objectives but remember to be flexible! Something always goes wrong so be prepared to roll with the changes. Maintain regular contact with each of your partners. If things change, communicate these changes. Schedule regular opportunities to check in. This way, you will monitor progress while at the same time making your partners feel included and supported. Don't just circulate information to the person in charge – copy in all those involved. Schedule regular planning meetings, identifying a project board with key representatives, or using structured feedback mechanisms. Find out your partners' preferred methods of communication – are they allergic to twitter, do they prefer face to face meetings or emails. What are their time constraints? Some partners may be out of contact at certain times, and may have capacity issues that you should be sensitive to. Reflect – monitor your progress continually and adjust where necessary. Work out what is working well, what is not working and whether milestones will be achieved. This is essential in managing your project and meeting your deadlines but will also inform you on the best way to manage partnerships in the future. Your partners will each have their own reasons for getting involved. They will each have their own ideas about what they would like to take from the project. Take time to get to know your partners and their style of working, take their methods into account when planning their involvement. Make sure that all partners are credited on any branding and publicity (and if you are using their company logo, find out about and adhere to their branding guidelines. Don't just grab the logo from the website – ask them for a high res copy). Respect the fact that your partners have other constraints and responsibilities within their own organisation – and that your project may not be their top priority. Build relationships with your partners, keep them in the loop and allow them to communicate any feelings of dissatisfaction rather than letting them bubble under the surface. Don't choose partners whose interests conflict with your own (or with the interests of other partners). Ensure that you are partnered with the right person. Do they have the right kind of expertise? Are they in a position to agree to what you want them to deliver? Don't dismiss their ideas – they may know things that you don't know or highlight avenues you might not have explored. Make sure that everybody is happy with decisions made (and that the reasons behind certain decisions are fully communicated). Treat all partners equally – don't allow other partners to 'pull rank'. Create space for all partners to be heard. Finally – there comes a time when a partnership has run its course. If attempts to resolve conflict or stir up action have been unsuccessful you may need to consider dissolving the partnership. Thank all parties for their contribution and go your separate ways. 1. Be clear and honest from the start about what you want to get from a partnership and ask your partners to do the same. Share any uncomfortable truths and manage expectations, it will make things much easier in the long run. 2. Never agree to something that you know you can't deliver or which makes you feel uncomfortable just to get a partnership off the ground. It will backfire! 3. The best partnerships build on each partner bringing their strengths to the table. If you think you could do everything better than your partner, then why are you partnering with them? Equally, if they are better placed to deliver the whole project, why are they partnering with you? 4. Don't get into bed with a partner just to attract funding. It isn't worth the hassle. 5. Put something about the partnership project in writing – an email will do. State what you have agreed each partner will do and when they will do it by. 6. Review the partnership regularly – if something isn't working, say so. If responsibilities need reassigning, reassign them. Be flexible. 7. Beware of staff changes – you may need to brief new members of staff on the whys and wherefores of the partnership. 8. Most problems are caused by how organisations work differently day to day – e.g. delayed invoices, things needing to be approved by several different people, use of logos, language in publicity materials. If you foresee a problem at your end, give your partners as much warning as you can and encourage them to do the same for you. 9. Accept that some projects are never meant to get off the ground – stay in touch, there may be other ways you could work together. Don't flog a dead horse if a partnership really isn't working. 10. Most importantly, have a sense of humour when things go wrong. We have pulled together a list of relevant resources. The Museum-University Partnership Initiative (MUPI) brought museums and universities together to work towards mutually beneficial aims. 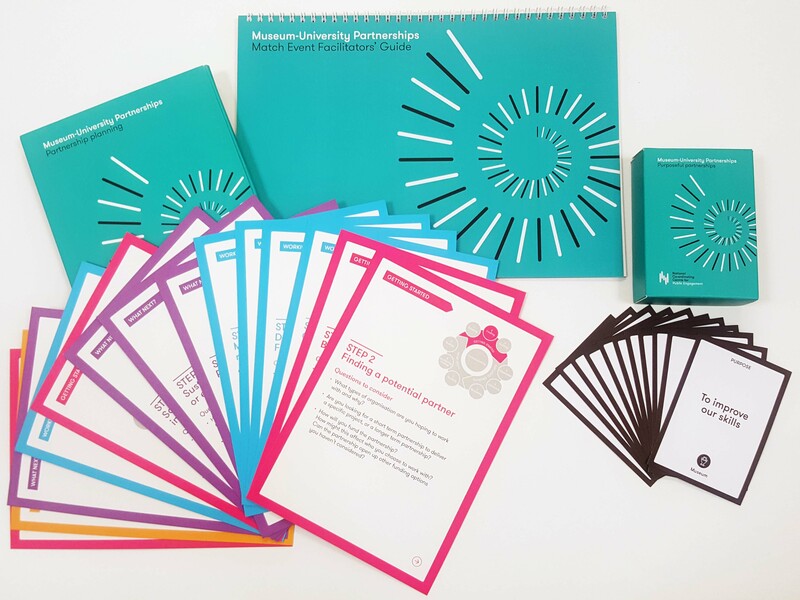 The initiative produced a range of practical resources that can be used to build any effective partnership (not just for museums and universities). A comprehensive site created by participation expert David Wilcox. The guidelines (1998) describe the characteristics of successful and unsuccessful partnerships, and will help you decide what sort of partnership you may wish to create, and how to make a start. Building on case studies, the guide is intended for anyone interested in how local regeneration projects can benefit from the involvement of those with the greatest stake in their future - the people who live and work there. Although the principles apply to a range of partnership situations, this is particularly intended for those involved in setting up a Community Development Trust or similar. Comprehensive reference section.